Casas Cantabricas have a delightful selection of small, charming hotels in Galicia, most in fascinating historic palaces, rectories and country houses. Whether it's a weekend break you're looking for or a bespoke itinerary - see our Caminos site for touring holidays - we can help you really get the most out of your visit to this lovely region. In the far north west corner of Spain, for centuries journey's end for pilgrims travelling from all over Europe and long considered the end of the earth, the Celtic land of Galicia has much to offer today's visitor. Apart from this rich heritage there are miles of beautiful coastline and an interior with many little known wonders in a province larger than Wales. For the foodies there's plenty to relish with Spain's best seafood and some fantastic white wines as well as the best meat and garden produce. Why not consider an independent touring holiday in Galicia using our charming hotels. 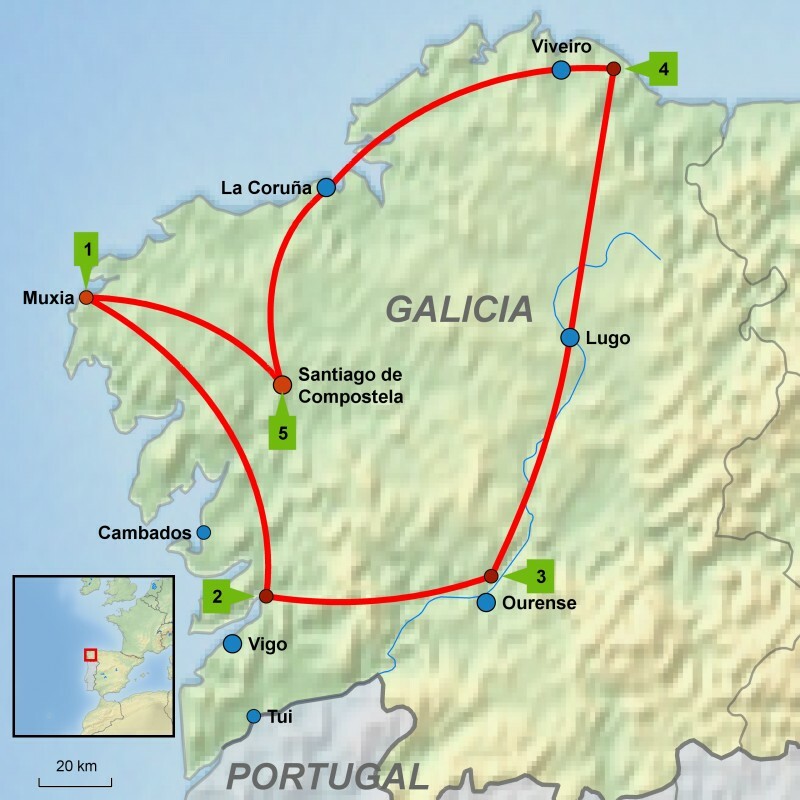 Caminando por Galicia is just an example of the delightful possibilities for exploring this beautiful and varied region. Casas Cantabricas charming Galicia hotels are mostly housed in historic palaces or rectories - with the notable exception of Hotel Moure - our 'vanguardista' offering in Santiago! Our Galicia hotels are small and charming and offer a warm welcome to this beautiful region. 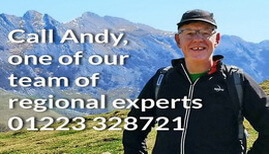 With over 30 years experience in the north of Spain and a team of enthusiastic specialists on the ground, living and working in northern Spain, Casas Cantabricas can truly claim to be the northern Spain specialists. We pride ourselves on our personal service so why not let us help you find the best charming hotel in Galicia for your visit to the region - give us a call!